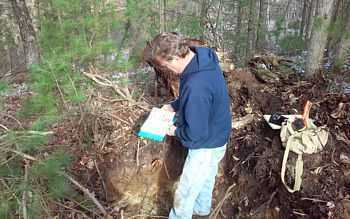 We can offer you a complete soil test which will let you know what type and size of septic system will work on your property. We do our own testing so scheduling your work can usually take place quite rapidly. What is a Soil Test and why do I need one? In order to install a new or replacement septic system in Wisconsin, a complete soil evaluation (soil test) must be performed. The test is needed to determine what type of septic system may be installed on the property and how large it needs to be. It also determines the location of the system. We meet with the owner to determine their wishes of where the system can and cannot be located. Once Diggers Hotline has been notified and the site has been marked for underground utilities, such as gas, phone and electric lines, we normally dig at least three test pits with our mini-excavator. Then the test pits are evaluated to determine the depth of suitable soil and the type of soil. Once we determine the depth of suitable soil, we then assign a “loading rate”. This is the amount of water we may safely apply per square foot of soil. The same type of soil will have various loading rates based on the structure of the soil. A typical septic system has a septic tank. The septic tank holds the solids and the liquid (effluent) leaving the tank enters a drain-field. The drain-field must disperse the effluent to the soil where micro-organisms in the soil provide treatment of the effluent. Wisconsin requires three feet of suitable soil below the bottom of the drain-field to a problem in the soil, if one exists. That problem may be bedrock, hardpan or indications of seasonal high ground water. Soils which may be dry in August may be completely saturated in April. Very course sand and gravel sites may require more than three feet of separation. If the test reveals there is not enough suitable soil to install a system in the ground, an at-grade or mound system may be needed. An at-grade system is used where the site has at least three feet of suitable soil. The at-grade is installed right at the ground surface. 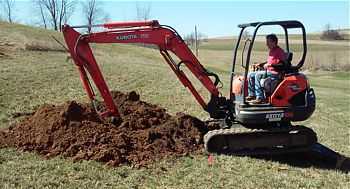 If the site has less than three feet of soil, a mound system may be used. The mound is simply a raised drain-field. For instance, if the site oily has two feet of suitable soil, one foot of “mound sand” is installed and the drain-field is put on top of that. If a mound system can not be used due to lack of soil, a holding tank may be installed. A holding tank is just a tank, usually at least 2000 gallons. When the tank is full, a septic pumper hauls the wastewater away. Some counties will not allow holding tanks for new construction. Some counties will allow you to install a holding tank instead of a septic system if the structure has a very small or sporadic flow, such as a cabin. Page Summary: Halverson Plumbing offers soil testing, soil evaluation, soil test and septic system preparation. Services such as septic tank, drain field, mound system as well as at-grade system are also part of the scope of our business. We also specialize in holding tanks, plumbing system in Onalaska, Holmen, Osseo as well as Black River Falls. Other areas we serve include Sparta, West Salem, Pittsville and La Crosse. We also service Tomah, Neillsville and beyond.